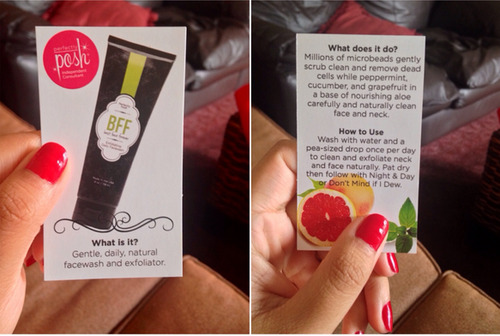 I was sent a few Perfectly Posh samples by Michelle a couple of weeks ago to try out and review! 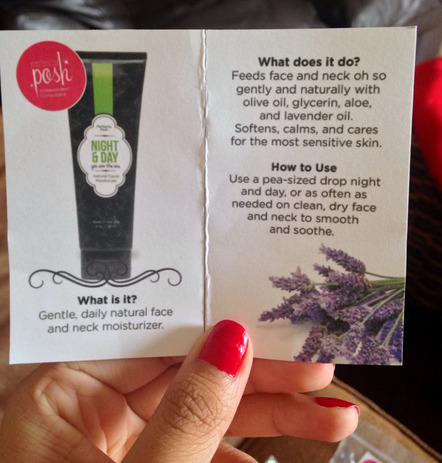 For those who don’t know, Perfectly Posh is a company that offers personal care, pampering, and beauty products. Their products are made from 100% natural ingredients. This face wash is AMAZING! It has a minty scent and it exfoliated my skin so well! It cleaned out my pores and left my face feeling super fresh! I’m seriously thinking about switching to this face wash once I finish out the various ones I have right now! I’m still in search of the perfect moisturizer so I was pleased when I was sent a sample of this! I really loved the smell of this moisturizer and I felt it kept my face moisturized all day long compared to my daily moisturizer! 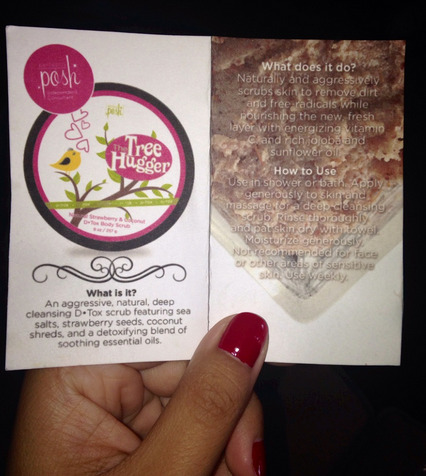 I’m picky when it comes to body scrubs but I instantly fell in love with the Tree Hugger! It smelled great, it felt amazing on my skin, and it definitely did it’s job and it did it well! My body felt so soft and clean after using it! This will be added to my list of things to purchase once I finish all the products I have now! This hand creme smelled so good and I love the name of it! 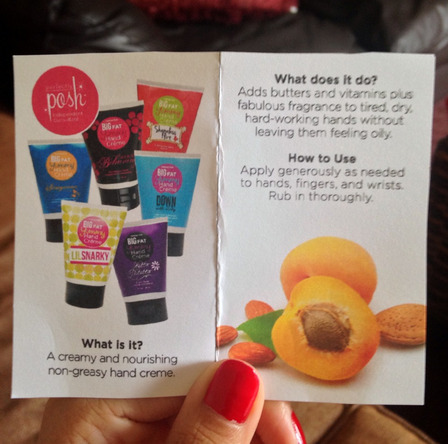 I can’t get over how everything I’ve tried from Perfectly Posh smells so great! This creme left my hands super moisturized but I found it a tiny bit sticky when I applied it but still in love with this creme! 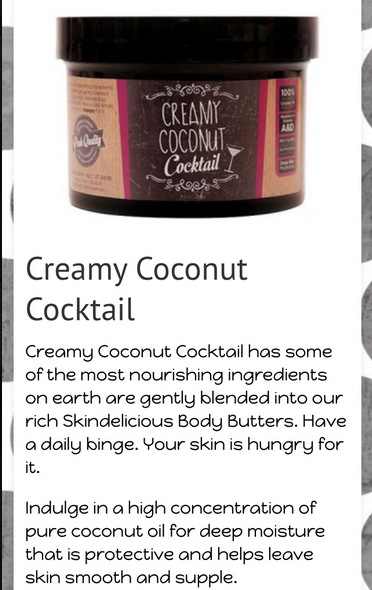 I love body butters and I have to say this is one of my favorites! The scent is strong but it isn’t overwhelming at all! This body butter left my hands super soft and moisturized all day! I loved this mask! I was told this might make my face feel hot when I used it but it didn’t! I tested it on my wrist first and I recommend anyone who uses this to do so just in case! 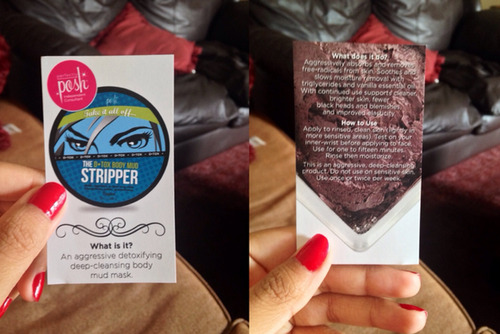 This mask is truly wonderful and it left my face so clean, smooth and I noticed most of my blackheads were gone! My pores were so clean! I definitely will add this on my list of things to buy once I use up my other masks! I loved all of these products and I cannot wait to finish my other moisturizers, creams, face washes, and masks so I can switch over to Perfectly Posh! I love the fact that they are made up of completely natural ingredients and their products are so affordable! If you’re interested in purchasing or browsing through Perfectly Posh products, click here!